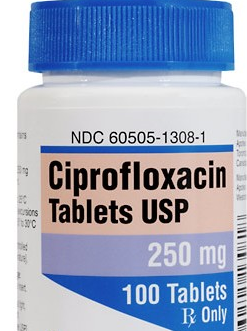 President Barack Obama, shortly before the death of Supreme Court Justice Antonin Scalia, started taking the anthrax-treating antibiotic Cipro. According to a White House employee who requested anonymity, Mr. Obama fears that elements within the Central Intelligence Agency want to disrupt the coming presidential election. Before Mr. Obama came to power, he promised to have the most transparent administration in American history, and he indicated that he would release pictures of US torture. Whether Mr. Obama made those promises merely to further his campaign we may never know, but we can safely say that this Administration has suppressed the truth regarding the attacks of September the 11th, making President Obama an accomplice to the Bush crime family. Obama's suppression of information has been instigated at the behest of what was once America's foreign intelligence agency but has now become a paramilitary unit running a shadow government busily killing anything or anyone that could contradict the official narrative which has led us to more than a decade and a half of war, with no end in sight. The government's suppression of information is fully evident in the refusal of the Obama Administration to release the 28 classified pages of the 9/11 Congressional Report; pages which detail the involvement of individuals within the Saudi monarchy in the worst attack America has suffered this century. As Abreu Report has previously written, the Department of Homeland Security developed extensive plans for martial law in the United States, plans which went into overdrive after the Oregon Standoff between the Federal government and supporters of renegade rancher Cliven Bundy. The individuals responsible for plotting the attacks of September the 11th are afraid for their lives; they believe that the rise of Donald Trump and his army of "conspiratorial" supporters will lead to a civil war between those loyal to or blinded by the Bush crime family and the rest of America. Mr. Obama's decision to start taking Cipro may perhaps be an indication that the Bush family's Machiavellian machinations are on the verge of leading to all-out anarchy on the streets of America.